I know once again, everyone will be posting about this but these are so beautiful I can't not post them. 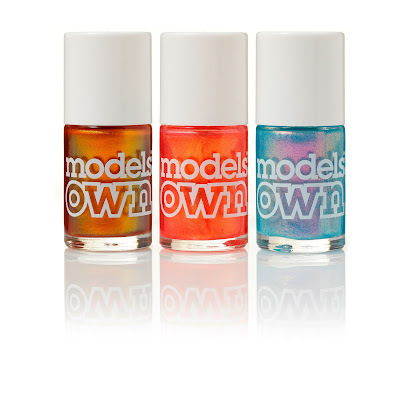 After the amazing reception of the first Bettlejuice collection, Models Own is adding 3 fabulous Summery shades to the collection. Copper Pot, Tropical Sun, Indian Ocean. These launch on the site on March 19th and Boots nationwide, towards the end of March. I'm excited for these but I hope the promo images look more like how the polishes look in person. Do you like the look of these? The middle and last are my must haves!